The layout of a warehouse should be efficient, otherwise it may bring about various negative impacts on your business. This includes a decrease in productivity, errors in distribution and shipping, issues with inventory control and safety risks. At Smart Delivery Service, we have a spacious warehousing facility, which is categorized by the type of product, the date of delivery, and whether the items need repacking or assembling. Since the layout of our warehouse is well designed, we can pass our efficiencies and cost savings to our customers. 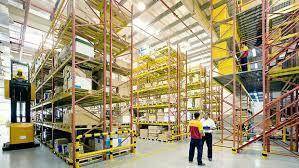 Here are some of our guidelines and tips for designing a warehouse facility. • We have a large receiving area so that there is enough room for our staff to perform activities like breaking down pallets, counting items, etc. We can complete these tasks more efficiently that many other Warehousing services in Minneapolis and Dallas. • We have a separate area for returned products, with clear markings, to make sure that returned goods are not considered as stock. Also, we have separate shipping and receiving areas to avoid improper cross-over activities. • With an efficient layout, our warehouse inventory doesn’t need to be shifted more than once. This results in less time invested by our warehouse staff and less risk of damage to freight being handled unnecessarily. • We also decide the location of the product depending upon its need and popularity. • Our warehouse includes aisles and crosses aisles to simplify navigation within the warehouse. • We have exceptional space utilization allowing for maximum efficiency in serving our customers. • We have delivery trucks and uniformed courier drivers available to deliver products to your customers.